The people who have occupied south-west Western Australia for 30,000 years are determined to ensure the survival of their Noongar language. Wikipedia comes in 294 languages … and counting. It’s a drop in the bucket compared with the number of actual languages in the world (after all, Australia alone has more than 250 native languages), but alongside Google Translate (with 104 languages) it makes Wikipedia one of the most ambitious language projects today. Where the English Wikipedia has more than 5m articles, there are hundreds of much smaller Wikipedias including Abkhazian, Cherokee, Norfolk and Fijian. Sitting in the site’s incubator program, along with 10 other languages, is Wikipedia’s first Indigenous Australian language, Noongar. 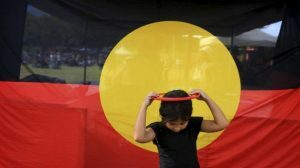 There are roughly 35,000 Noongar people today, according to the Noongar Boodjar Language Centre, making it one of the largest Indigenous groups in Australia. 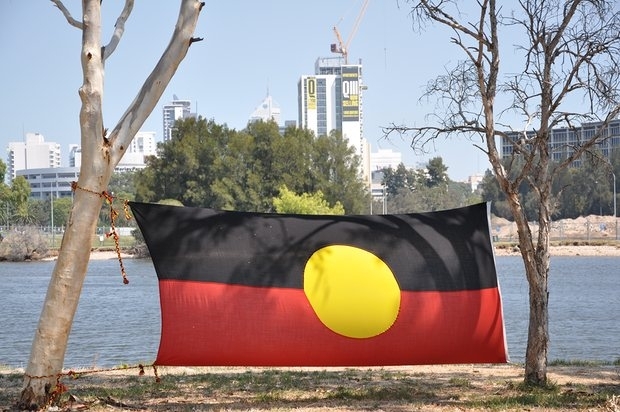 For thousands of years they’ve lived on Noongar boodjar (Noongar country), what is now known as the south-western corner of Western Australia and includes the capital city, Perth. Artefacts likely carried by early Noongar ancestors have been dated as far back as 30,000 years. The Noongarpedia project began in 2014 by a team from the University of Western Australia led by school of Indigenous studies professor and Noongar elder Leonard Collard, with Curtin University’s John Hartley and the Miles Franklin award-winning novelist Kim Scott. Although not yet formally launched, the site is live and users can create an account and contribute by writing or editing articles. “Kaya wanju gnullar NoongarPedia. Gnullar waarnkniy kwop kwop birdiyah wiern, maaman, yorga, koorlinga. Gnullar waarnkiny noonar yoorl koorliny waarnkiny nidja NoongarPedia. / Welcome to our Noongarpedia. We speak in good spirit of our ancestors, spirits, men, women and children. We hope you come and contribute to our Noongarpedia. It is just one of many subtle but important departures from the larger Wikipedias. For example, Collard says inherent to English Wikipedia is an assumption that “all information is freely available to everybody”. Such a policy would conflict with Noongar knowledge convention and law which places restrictions on who can know what knowledge, so the Noongarpedia community is developing procedures to prevent general access to certain information. A research associate, Jennifer Buchanan, says Wikipedia convention favours mainstream books, newspapers and scientific journals as creditable sources. For the Noongar people, while published works are also important, their elders are considered the greatest authority in knowledge and culture (meanwhile, inaccuracies about their people run rampant in the media and academic circles). One of the largest challenges the team face is that Wikipedia is primarily text-based. Until recent times Noongar has only ever been an oral language. There is no standard spelling of Noongar words, but its written form is now being developed through institutions like the Noongar Boodjar Language Centre in Bunbury. The team are also investigating how audio and video can be used to reflect the importance of oral testimony in their culture. So far the Noongarpedia has been written in both Noongar and English to accommodate for the varying levels of fluency by its users and to serve as a resource for language students. Buchanan says “the historical and political context of Noongar language use, loss and regeneration is a constant and pressing consideration in this project”. The team hold monthly “Noongarpedia Wikibombs” where people gather to edit and write articles, share ideas and are trained to use the site. One session was themed Kadadjiny kura yeye boorda: acknowledging our ways of learning from the past, today and future. Drawing a picture of the health of Noongar language is difficult owing to the ambiguities of what qualifies “speaking a language”, Hanson says – when it means anything from “half a dozen words to speaking fluently” you could say almost all Noongar people speak their language. The centre is attempting to locate these people to expand their knowledge of the language. They are also undertaking the first comprehensive survey of Noongar speakers, to better understand the levels of fluency in the community. They will also investigate the emergence of “contemporary Noongar”, which has elements of English grammar, and how this compares with traditional Noongar. 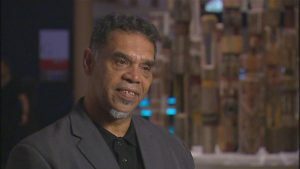 Hanson says during colonial times the Noongar people were among the most traumatised Aboriginal nations in the country. The WA Aborigines Act 1905 gave unprecedented power to a chief protector over the lives of Indigenous people, and led to the mass removal of children from many Noongar families. Alongside the lifetimes of sorrow this caused the community, it also meant a widespread interruption of the transmission of language between generations. Hanson says Western Australia has yet to constitutionally recognise the existence of its many native languages, the practical consequence of which is an absence of adequate translating or interpreting services, aside from one small service in the Kimberley region. In 2008 plans for an Aboriginal languages policy were shelved owing to the cost of implementation. Language advocates in WA must instead turn to the commonwealth for support. The Noongar Boodjar Language Centre opened in Bunbury last October after securing four years of federal funding through an Indigenous language support program. While Noongar is often described as a moribund language, Hanson says this fails to capture the sections of Noongar society who are making a choice to “turn that around”. Take the singer Gina Williams, whose parents long denied their Noongar heritage (pretending they were Indian or Malay), but in adulthood has embraced her Aboriginality, including writing and singing songs in Noongar. Ngean noonar? / How are you? Noongar singer Gina Williams says kalyakoorl is her favourite word in Noongar and, indeed, any language, and is the title track of her 2014 album. “It means ‘forever’ – but heaps of forever, not just as in ‘that takes forever’,” she says. Noongar man Richard Walley speaking in language.